Go Green Plumbing is a fresh new plumbing startup in Niagara. They focus on eco-friendly plumbing solutions for sustainable living. 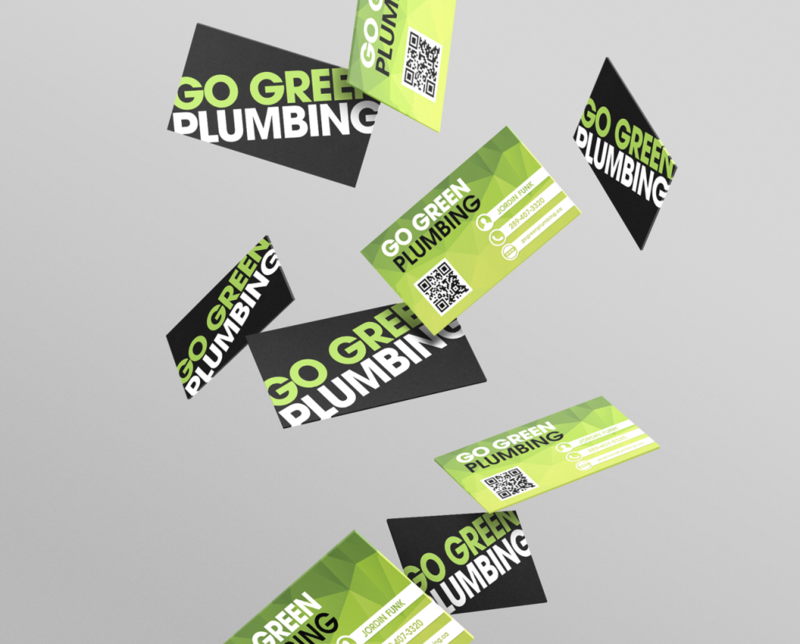 When we were first contacted by the founder, Go Green Plumbing was just an idea; a thought. 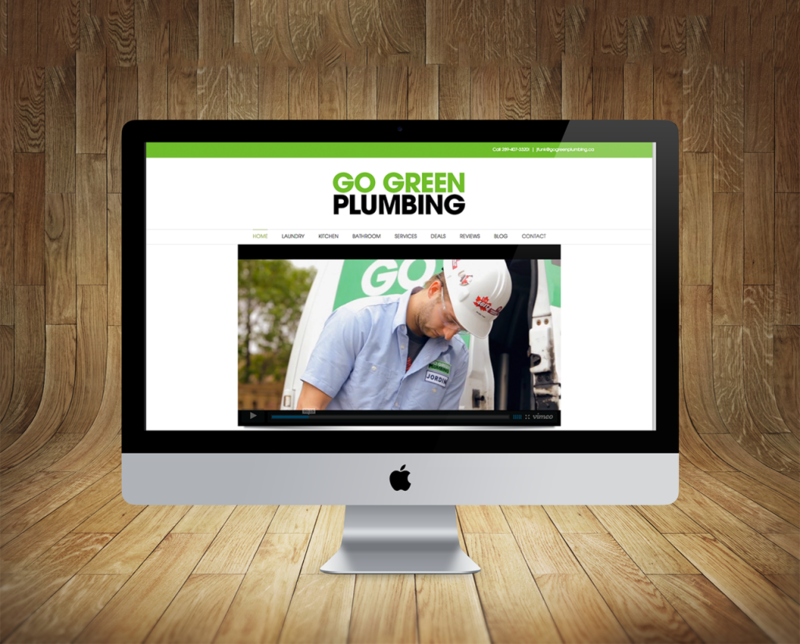 Working with the team, we built the identity of Go Green Plumbing from the ground up. Go Green Plumbing has since risen to the top of the most successful and reputable plumbing businesses in the region. 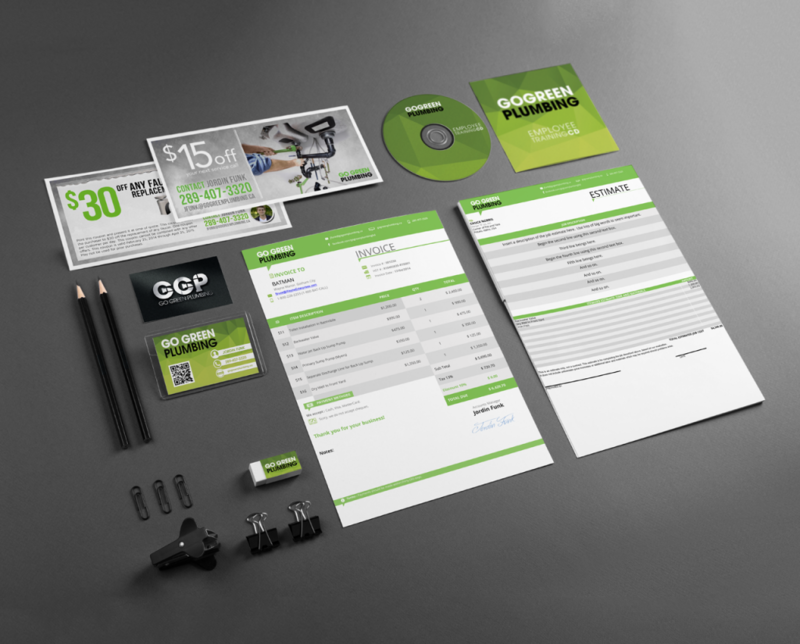 Go Green Plumbing was our team’s first major brand and identity creation. 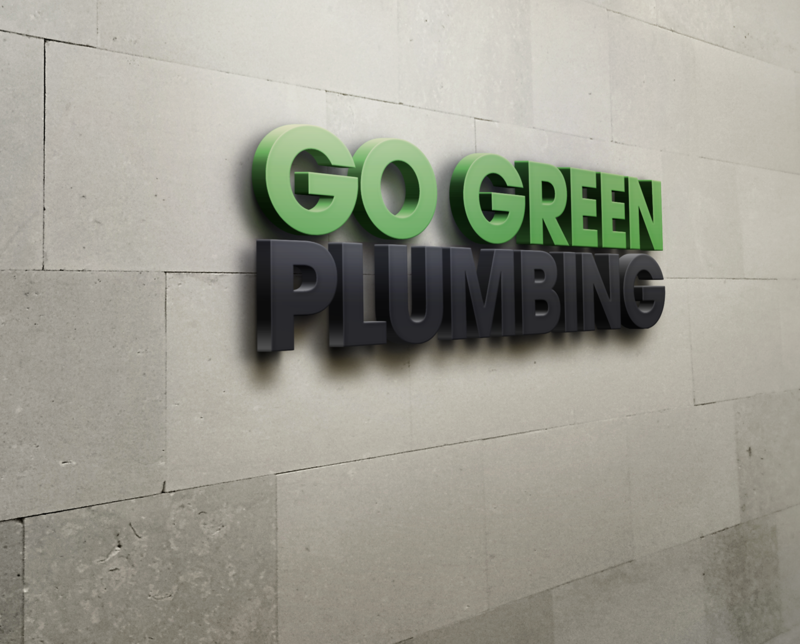 Through days of discussion and research, it was decided that the logo and the feel of the brand of Go Green Plumbing should be simple, but strong. This mindset reflects the idea of living green and creating a sustainable lifestyle. That is, a green life is a simpler life, but in effect has a strong impact on the world and people around you. It was with that in mind that we suggested Avant Garde, a font popularized in the 1970s. The font features many alternate letter variations, but to keep it simple none were used. The demi version (a bolder variation with the family) was chosen to reflect the strength of eco-friendly living. 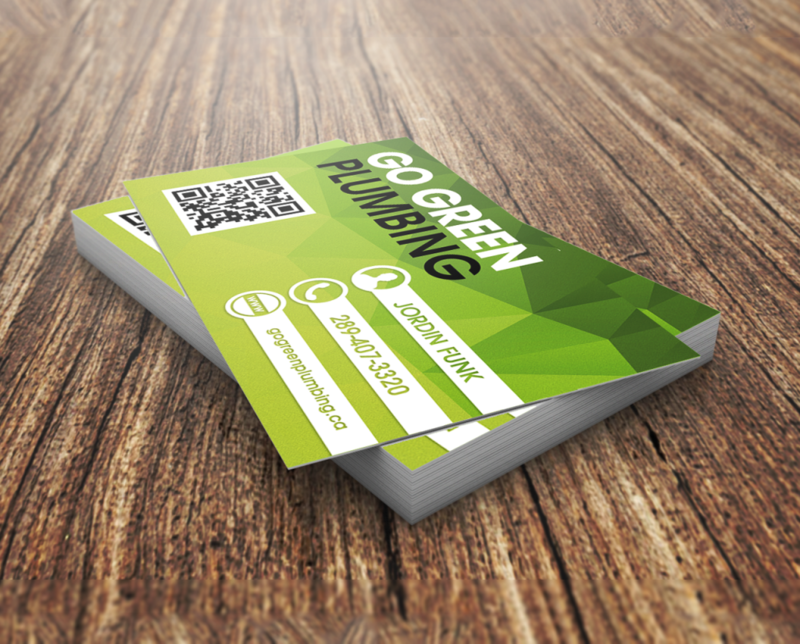 As Go Green Plumbing’s business grew, the amount of projects grew as well. 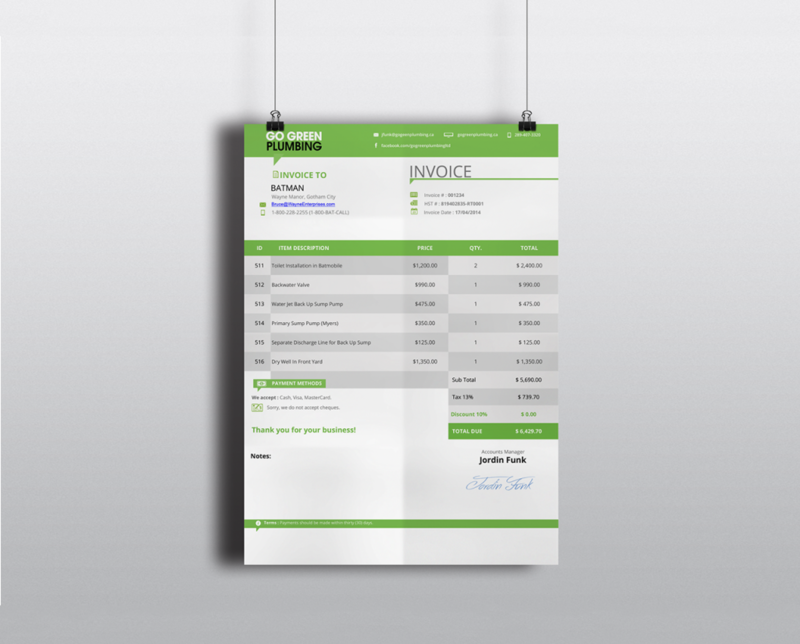 We began to design business cards, coupons for valpak, invoice sheets and estimate sheets. Designs focussed on using green as the main accent colour, as well as geometric backgrounds using multiple shades of green. 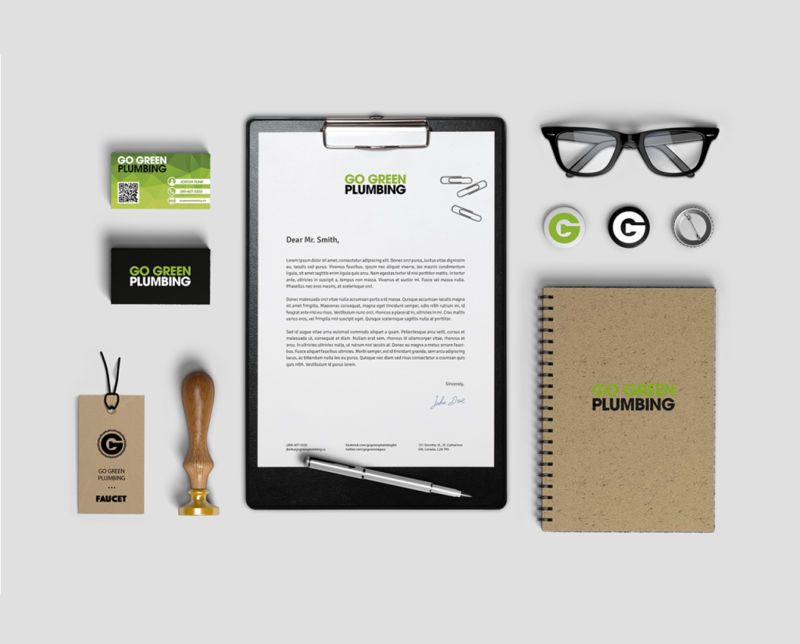 But it was the little touches in the print design that began to develop Go Green Plumbing’s identity. Turning red monkey wrenches green through a simple photoshop action and colouring pipes green (see above, under logo design and branding). It is these simple creative choices that speak boldly to customers that Go Green Plumbing is focussed on creating a truly green lifestyle. Similar to the logo, the website remains simple with a focus on a user-friendly interface. It features a beautifully produced video on the home page, with types of service, work categorized by room and a contact page. 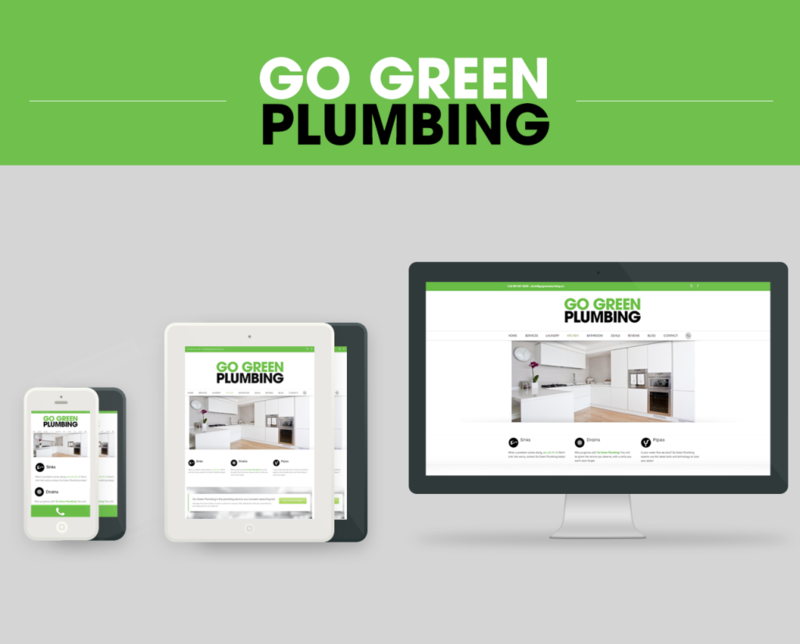 As requested by the client, the mobile version of the website has a phone button at the bottom of the screen–so that no matter where the user has navigated to, making a phone call to Go Green Plumbing is just one click away. 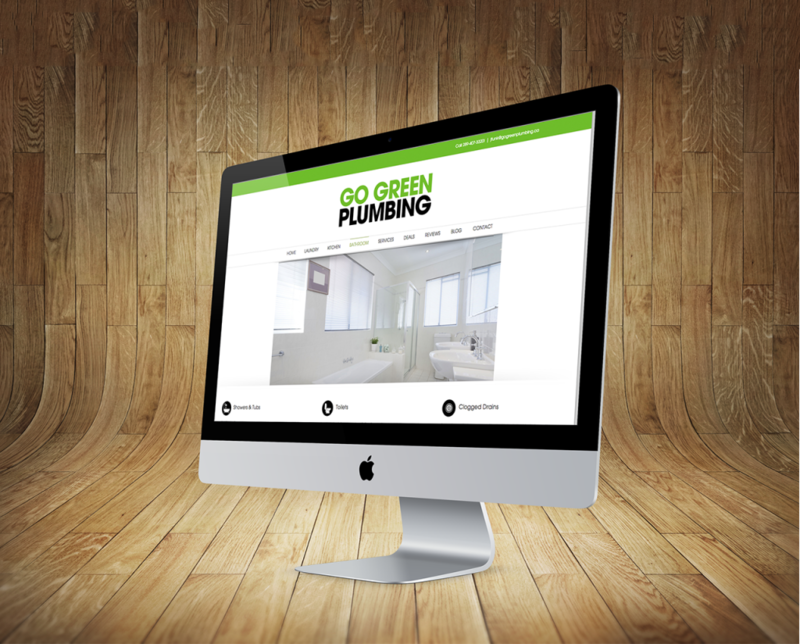 Since the website has been built, customers of Go Green Plumbing have mentioned the reason they chose to use their service was because of their website. That’s the kind of stuff that just makes you feel great.